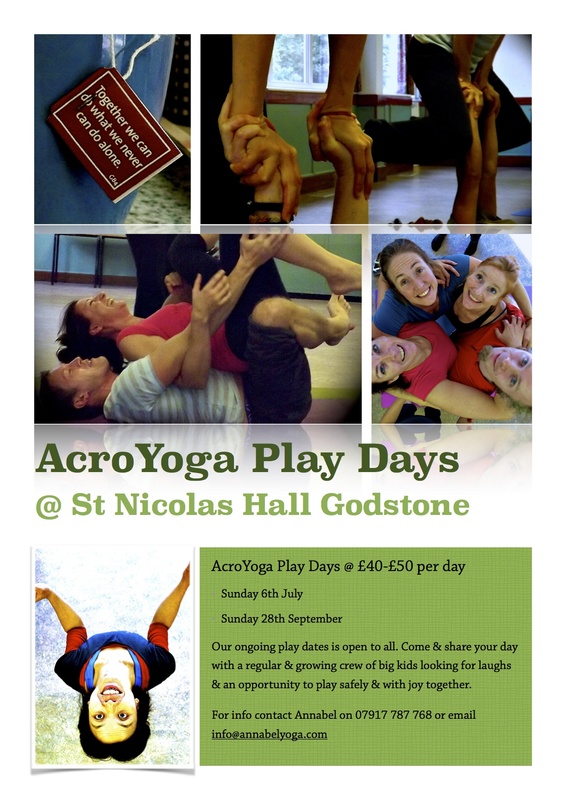 Our ongoing play dates in Godstone is open to all. Come and share your day with a regular and growing crew of big kids looking for laughs and an opportunity to play safely and with joy together. We plan on getting you into your bodies with a yoga warm up sequence, maybe we will expand with partner stretches or discover your healing hands and feet through flying therapeutics or which is often more the case find your acrobatic bodies with handstands and acrobatic flying sequences, all is possible. Come with an open mind and continue the play. There will be a 60min lunch break please bring a packed lunch. For info chocolate buttons has become the Godstone standard sugar & energy supplement.